We Like This DFW Area Event! Make Plans to Attend Harlem Nights 2018 Saturday, October 20th, 2018 06:00 PM @ The Fairmont Dallas, 1717 N Akard St, Dallas, TX 75201. Get Lovely Jazz Queen Dresses, Gowns & Outfits for Harlem Nights! We have Harlem Renaissance Attire for Ladies and Gents. There will be entertainment, casino games, prizes for BEST COSTUME and more! Retro attire is preferred, find great vintage-inspired outfits for men and women at Dallas Vintage Shop! Check out our extensive Costume Categories for more 20’s, 30’s, 40’s, Jazz Age, Prohibition Era, Harlem Renaissance, Cotton Club, Black Historical Characters and more. 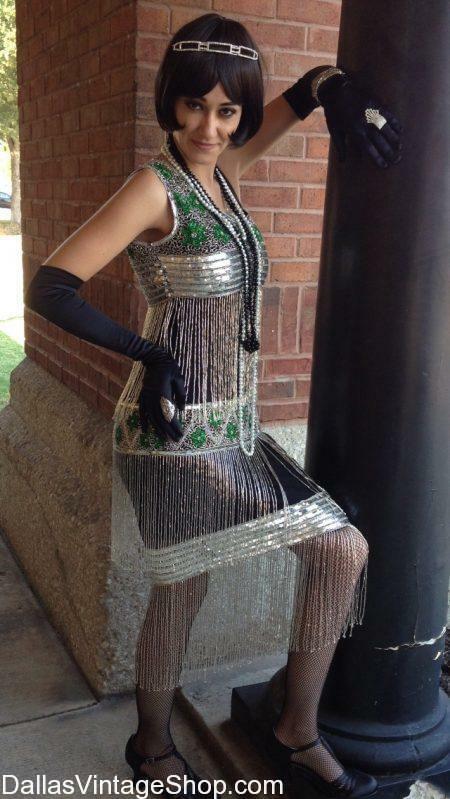 This Harlem Nights 2018 Costume provided by Dallas Vintage Shop. “The J.L. Turner Legal Association Foundation cordially invites you to an evening of Dinner, Dancing, Entertainment, and Casino Night! All the Annual J. L. Turner Gala 2018 Info and Links You Need Below. You Are Officially Invited to The Harlem Nights event Saturday, October 20, 2018 at 6PM @ The Fairmont Dallas, 1717 N Akard St, Dallas, TX 75201! Featuring food, drinks, dancing and great entertainment! 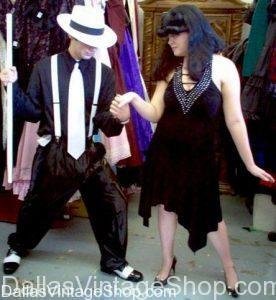 Retro attire is preferred, so find All your Zoot Suits, Gangster Costumes, Flapper Dresses, and Accessories for Men, Women, And Even Couples outfits at Dallas Vintage Shop! You Should Go to the Harlem Nights Annual J. L. Turner Gala Saturday, October 20, 2018 at 6PM @ The Fairmont Dallas, 1717 N Akard St, Dallas, TX 75201. We Have All You Need for Harlem Nights Costumes. We have Harlem Nights Event Ticket Links, Events Dates & Times, Event Updates. There will bedancing, casino games, prizesfor BEST COSTUME at this Old Prohibition and Jazz Age inspired theme! Find glamorous gala gowns and vintage costumes to look like any of your favorite Hollywood Stars or Prohibition Couples at the Dallas Vintage shop. Will You Be Going to Annual J. L. Turner Gala Saturday, October 20, 2018 at 6PM? The Fairmont Dallas, 1717 N Akard St, Dallas, TX 75201. We have Harlem Nights 2018 Event Ticket Links, Charity Events Dates & Times, Event Updates and All You Need to Know about this fundraiser! There will be dancing, casino games for some AMAZING prizes, Prices for BEST COSTUME and more! Find glamorous gala gowns and vintage costumes to look like any of your favorite 1920’s Stars at the Dallas Vintage shop. You are in 2019 TBA (Q4) Harlem Nights: Annual J. L. Turner Gala category.